If you think festival season is over because winter is upon us, think again! 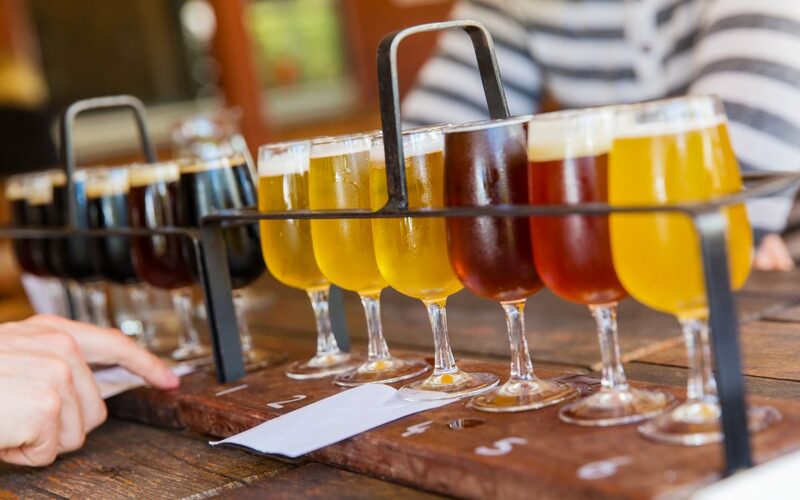 Craft beer festivals are brewing up a lot of fun this winter and we have just the thing to ensure that these events are a success! Custom passes, wristbands and commemorative event tickets that will make every aspect of your beer festival stand out in ways that others may not. Our products increase your branding, sponsorship opportunities and the ability to stay in the minds of your target customers. SYNTHETIC WRISTBANDS We are now offering synthetic wristbands! These come in full-color with no limits or additional charges per design. Synthetic wristbands are a cost-effective way to differentiate attendees, staff, volunteers, vendors and VIPs. These are 1″ x 10″ with a “stickie” tab self-destruct closure. If you are planning a multi-day event, these will stand the test of time even when exposed to water or moisture. One of the best parts about synthetic wristbands? Depending on the quantity, we can turn these around one day from digital art approval. These are becoming a favorite among our many beer-loving, beer-brewing clients! CUSTOM BEER PASSES Custom beer glass / can / bottles shaped Infinity Laminate passes are a great way to showcase your brand because…well…it screams BEER! Add social media handles and event hashtags to encourage additional promotion opportunities and engagement. If your fest is an annual event, print next year’s ‘save the date’ on the pass to generate excitement and boost attendance for the following year. Many attendees hold on to custom passes, furthering your messaging and branding long after the event has concluded. We LOVE to create custom passes and can design a one-of-a-kind piece specifically for you! COMMEMORATIVE EVENT TICKETS Create a design that is unique to your brewery and your event! The commemorative event tickets we create aren’t your standard Ticket Master ticket. These tickets can be customized to fit your size specifications and can be personalized by adding photos, artwork and variable data. Make your event tickets pop by adding foil or holographic overlays. If security is a concern at your event, you can always add a barcode to allow for accountability if a ticket comes up missing, in unauthorized hands or duplicated. ‘SNAP PASS’ LAMINATE The ‘Snap Pass’ Laminate is one of our new products, but is quickly becoming a favorite of our clients. The ‘Snap Pass’ is a 3 x 5 pass that can be worn using a lanyard and designed with one or two perforated tabs on the bottom of the pass. The tabs can be customized and used as drink tickets, food tickets, vouchers or coupons. One of our clients has even utilized these passes for coat check. Artwork on the ‘Snap Pass’ can be customized and has been used time and time again as a great showcase piece for event sponsors. Including the perforated tickets is a great way to have attendees glance down at their passes throughout the event. Utilize different artwork on the front and back to maximize your branding and messaging. Nothing makes us hopp-ier than craft beer and festivals. Put them together, and we are elated! After all, who doesn’t love a good beer festival? Call us to discuss your upcoming fest and how we can build an event package that will fit your individual needs. If you have an idea for something that wasn’t mentioned here, call us! We love talking to our clients and turning their vision into a reality. Best of luck with your 2017 Craft Beer and Microbrew Festivals!